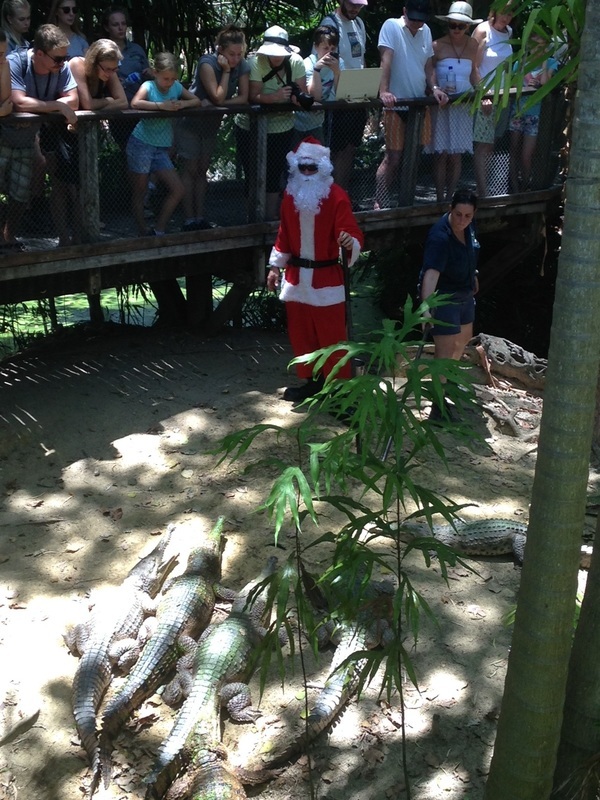 Santa visited Wildlife Habitat to make sure the Crocodiles in Port Douglas have been behaving - do you think they have been behaving? What a whopper! 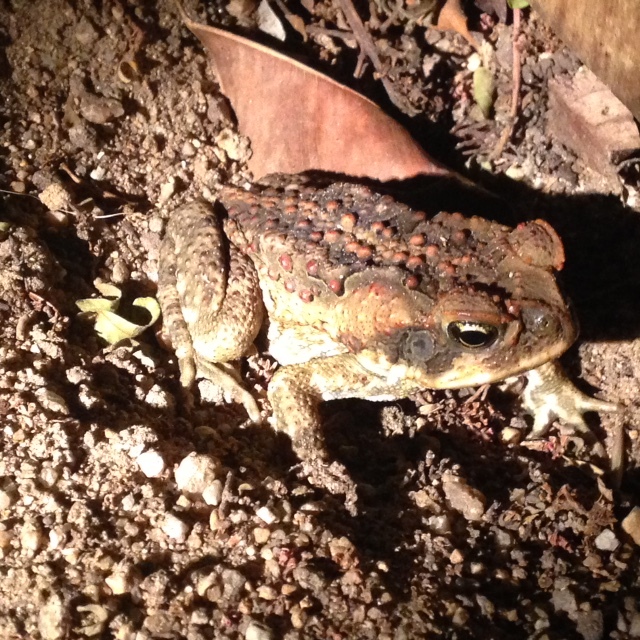 About 15cm long - this frog was just waiting for us to walk past on April 30, 2015 - out back of Ramada Restaurant- on the way for a night time stroll to the beach. 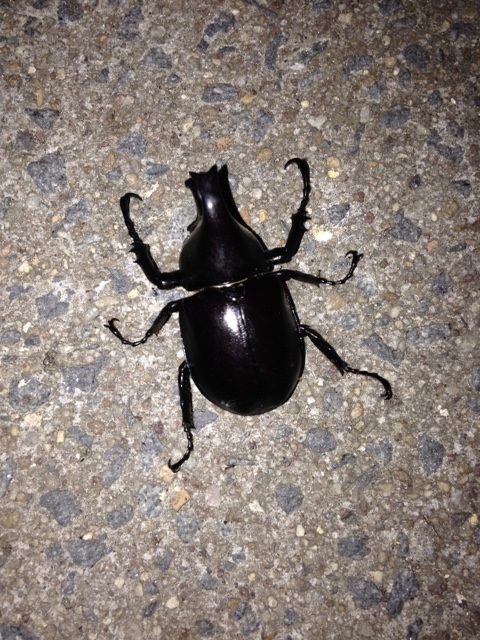 The Rhino Beetle - huge bugs - sometimes jet black - others flouro green. Cool! 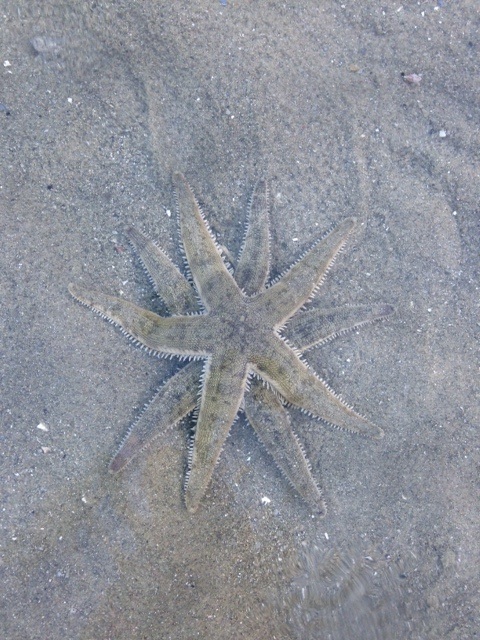 Two star fish having a hug? 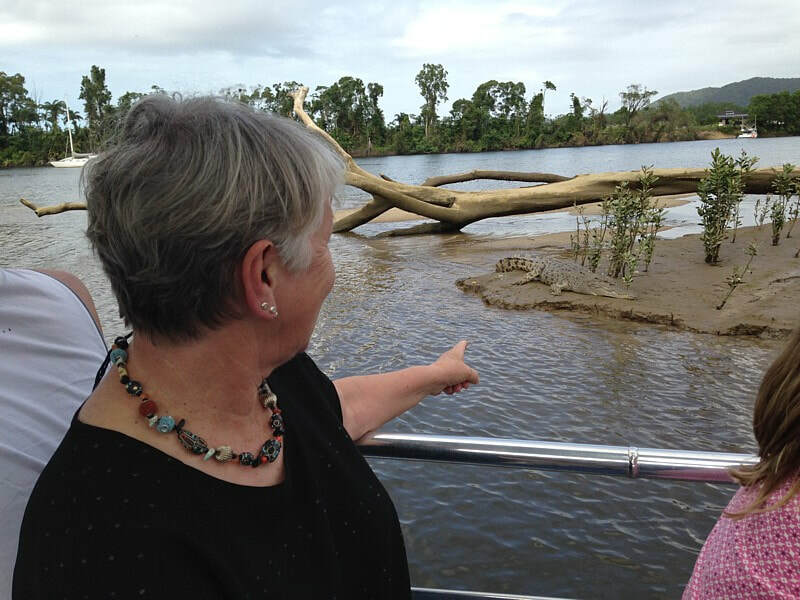 Crocodiles on the Daintree River, just 30 minutes from Port Douglas. 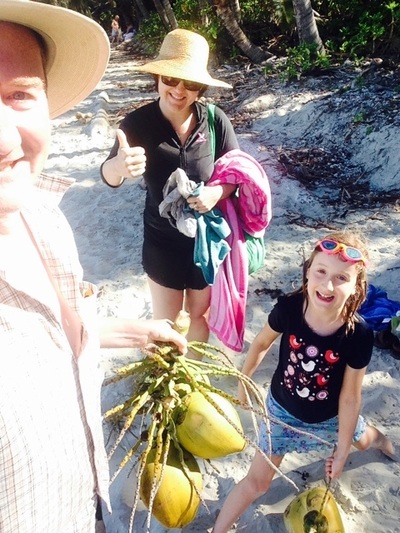 There are several tours operating from the Daintree River Cruise Centre, just a few hundred meters before the river ferry crossing. 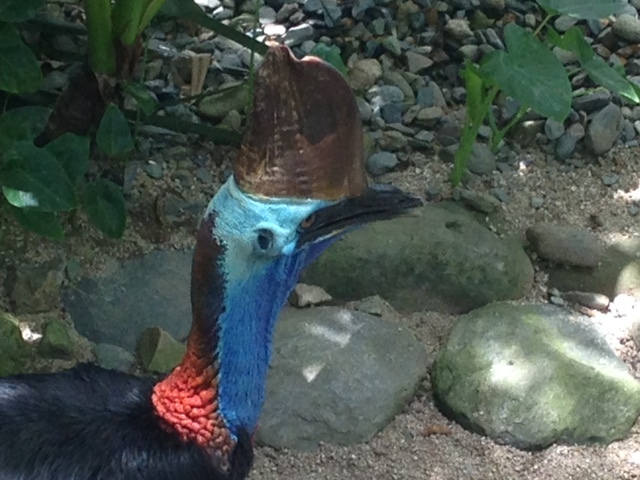 Cool Cassowary - one of two at Wildlife Habitat in Port Douglas. You can also find these in the wild - but steer clear - they are a big bird with a big bite. 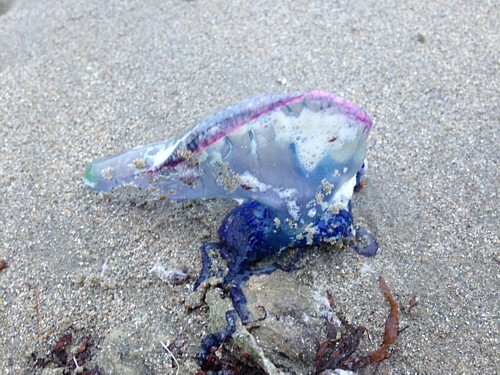 But they are amazing to look at. Parrot at Wildlife Habitat in Port. 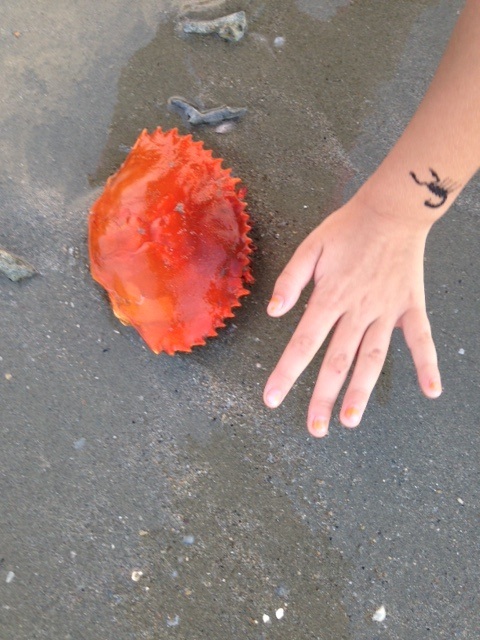 Careful - these can nibble your chin! 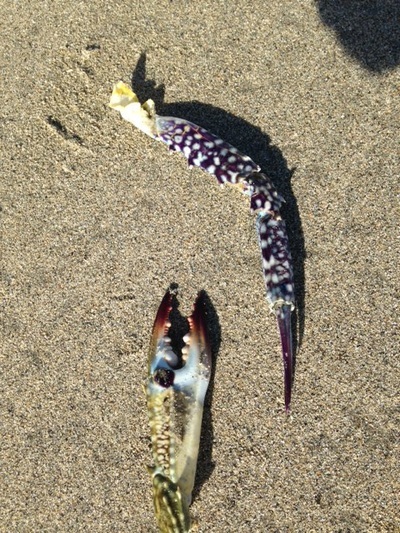 as we later discovered. 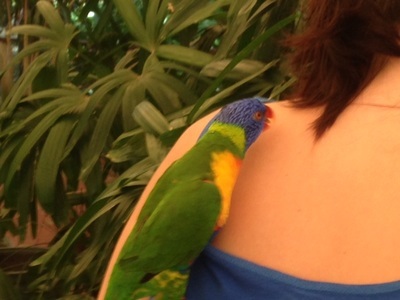 Tip: Don't try and kiss the birds. 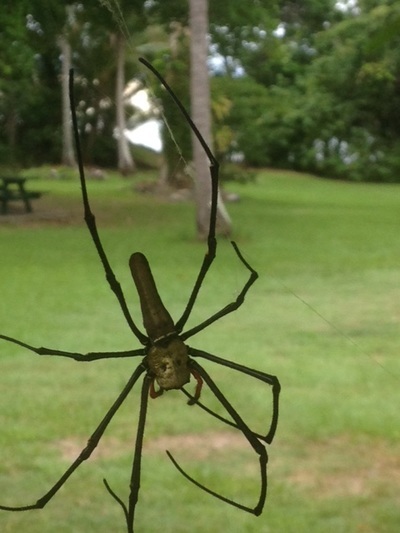 A HUGE spider - looks like it should audition for a role in the TV 'miniscule' series - that's quite a face. 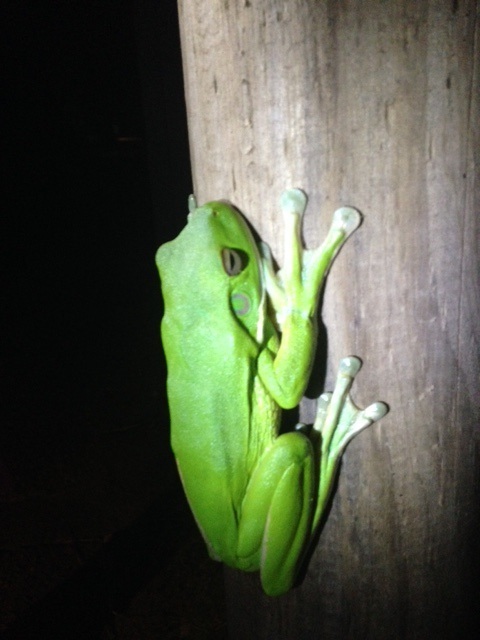 Dangling off its own web in Cane Toad alley. 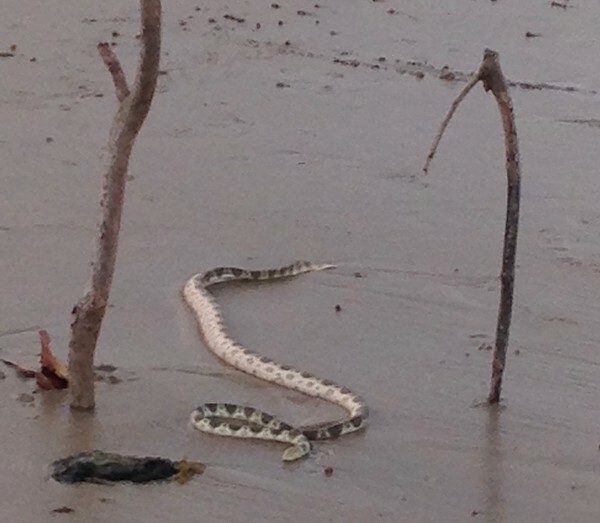 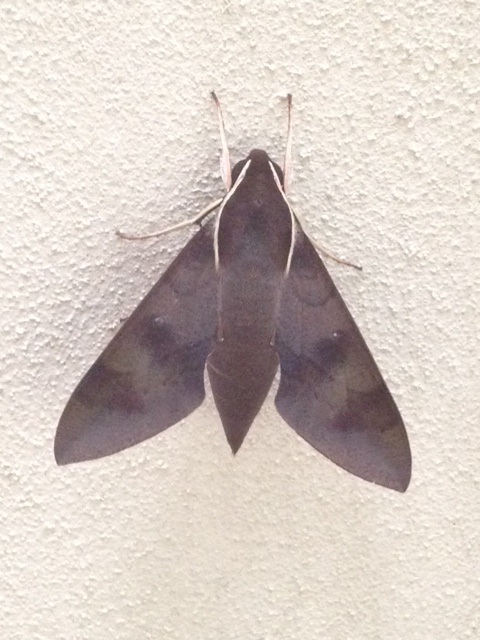 Hung around for a few days - then left. 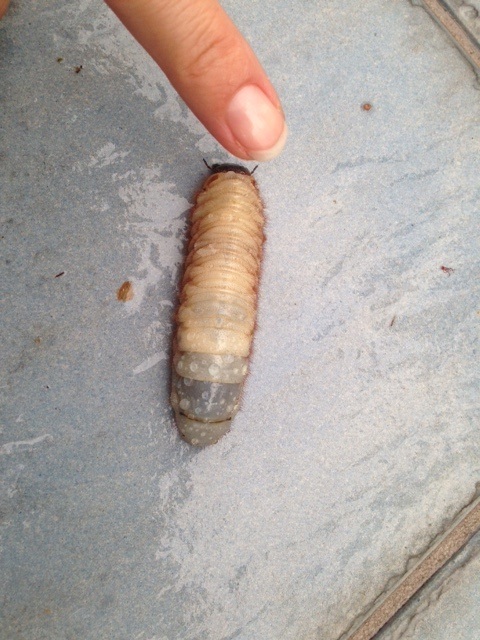 A huge grub on the driveway - is this a witchetty grub ? 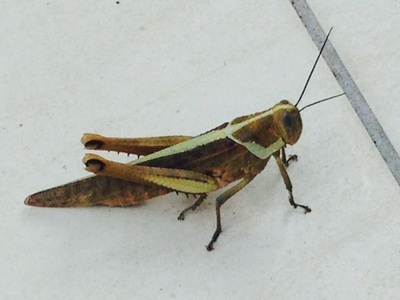 Available for rent. 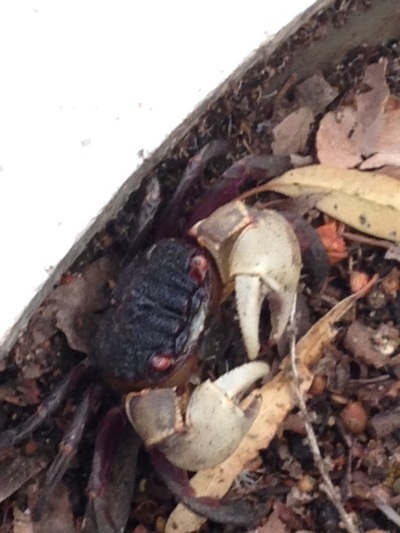 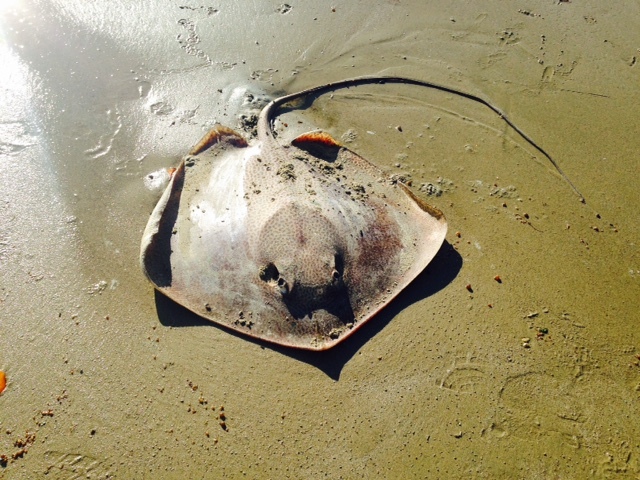 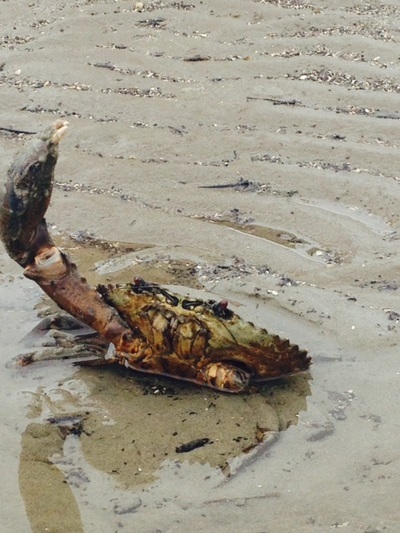 1 crab shell - orange - owner left town. 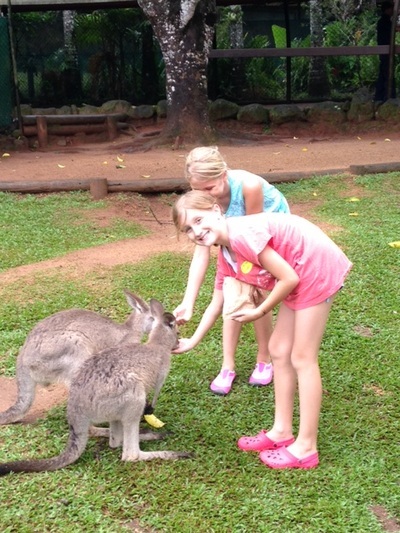 At Kuranda Butterfly Sanctuary - about a 1 hour drive by shuttle bus or car from Port Douglas - 30 mins from Cairns. 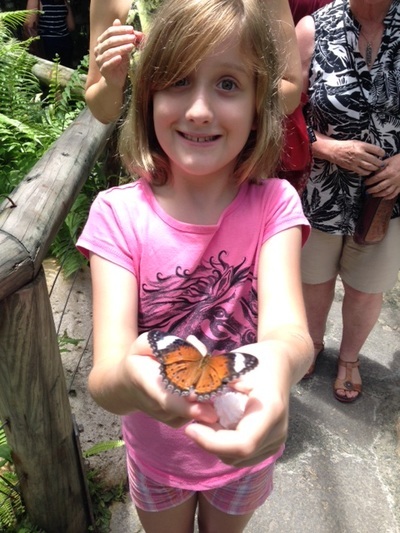 Great place to visit - 100s of butterflies to see. Our record 'Gecko Count' is I believe 52 Geckos out around lights and eating through bugs. 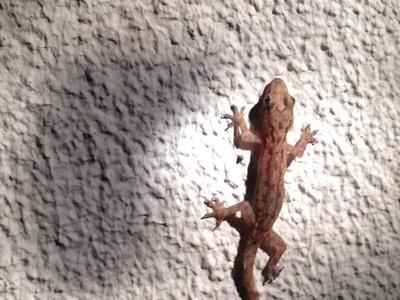 Some locals don't like Geckos for their habit of shorting our A/C - but they do a great job eating bugs. 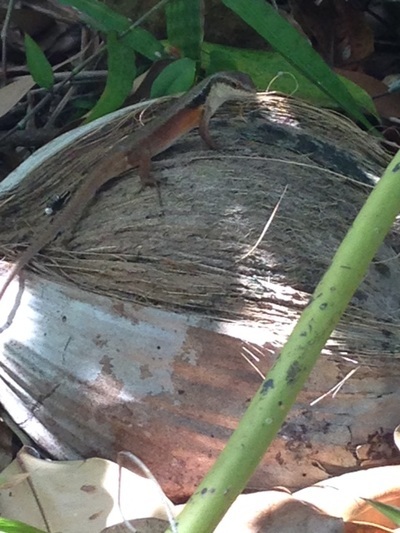 Go Geckos! 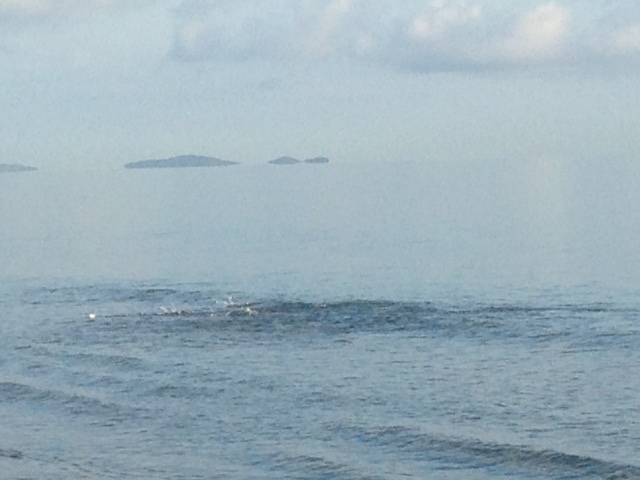 Fish churning the water at 6.30am off Port Douglas Beach. 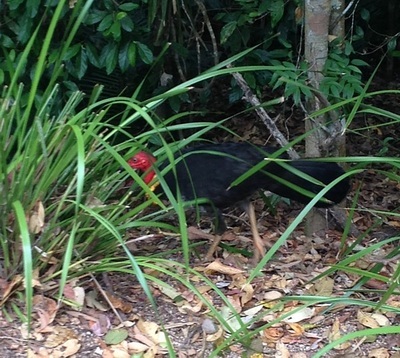 Not an Orange footed scrub fowl (the most common ground bird around Port Douglas) - this is the good Aussie Brush Turkey - pictured here in Kuranda. 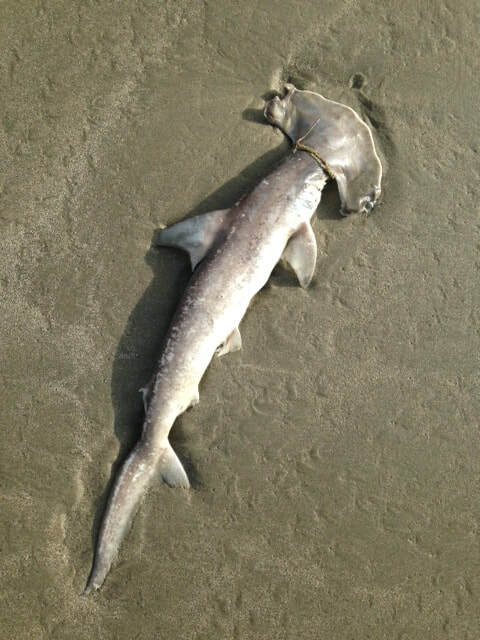 This small hammer shark was found on the beach July 2017. 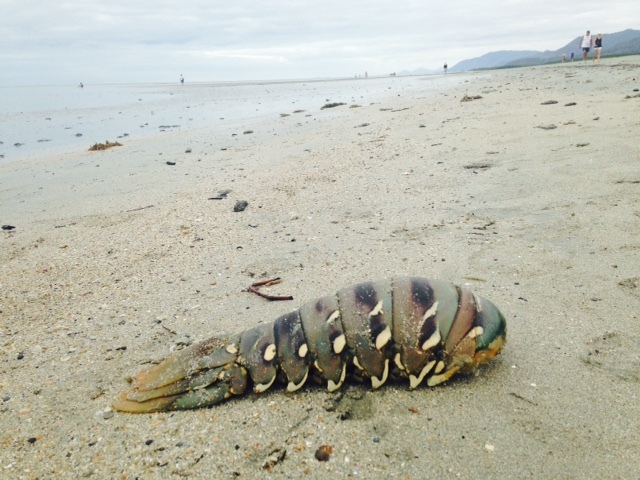 About 40cm long, this is a good example of another one of the amazing creatures that live in the Coral Sea off Port Douglas.